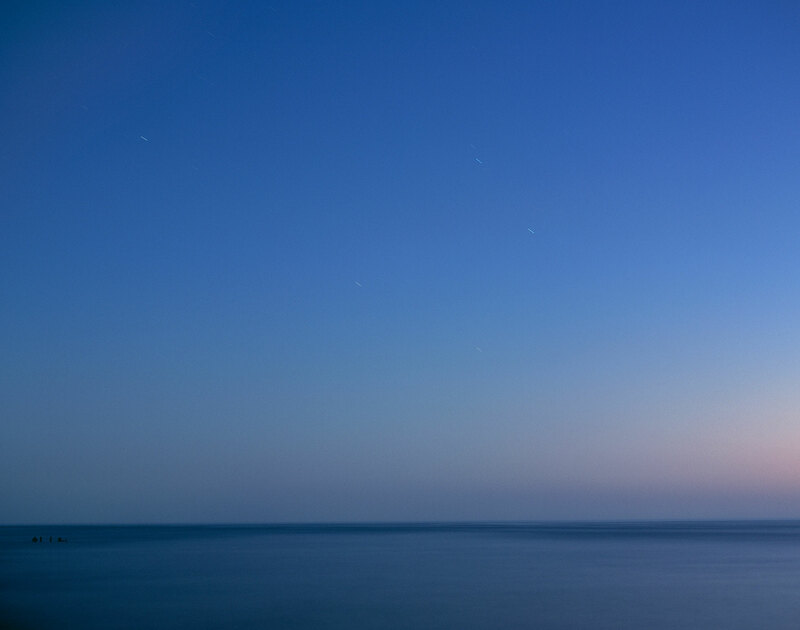 A long exposure as the curtain of night falls over the big lake creates a soft, Rothko-like painting. Simplicity in blue. With prolonged viewing hints of reality emerge from the abstraction- star trails, pylons- reminders that this is, indeed, a photograph. But one that challenges what we expect a photograph to be.